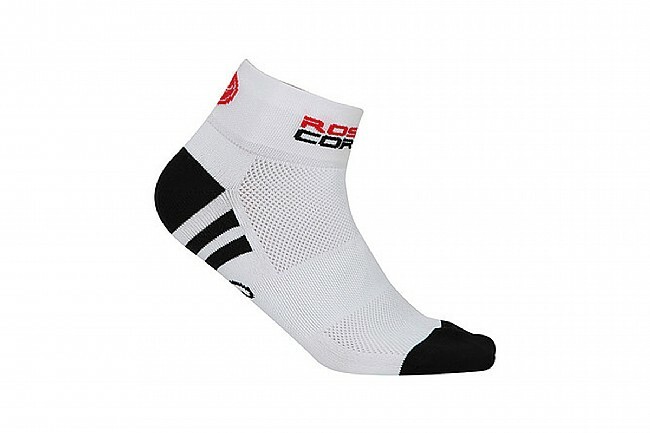 The Castelli Women's Rosa Corsa Socks are made with bacteriostatic Meryl Skinlife® yarns to keep you fresh for longer, but the comfort doesn't stop there. 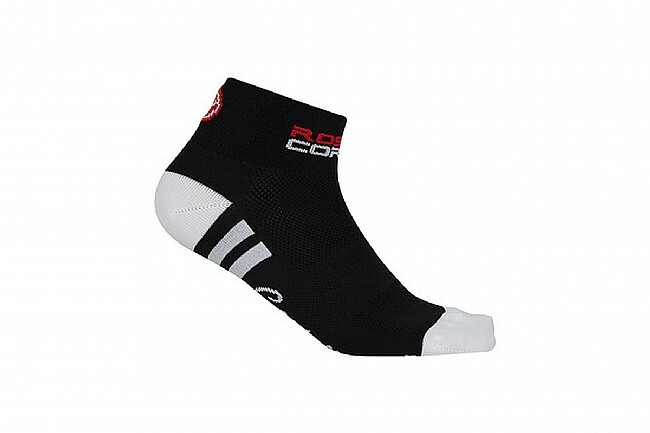 They also use a woven mesh over the top-foot for excellent ventilation, and a supportive band at the arch makes for a more structured fit. 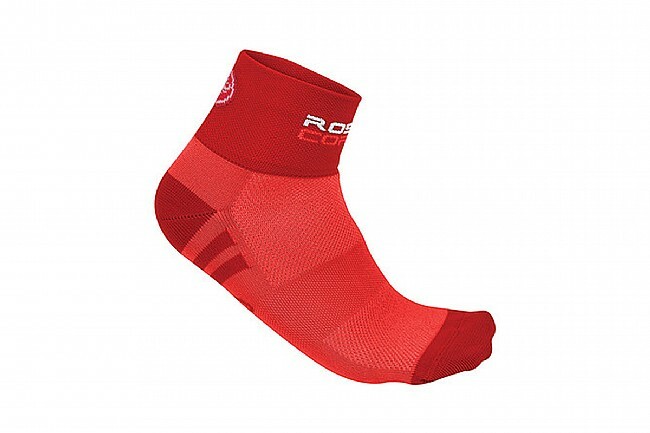 The Rosa Corsa Socks feature a 5 cm cuff and a flat-seam toe to prevent irritation.